A Munich court has ordered a restorer to pay €26,000 to a dealer who claimed the four oil paintings he sent for cleaning had been ruined. The ruling confirmed an earlier decision by a local court in July and ended a legal process that had dragged on for eight years. The four paintings included a small oil-on-wood work by the 19th-century German artist Carl Spitzweg called The Writer (1880), which the Munich-based dealer Andreas Baumgartl says is a study for a larger work. 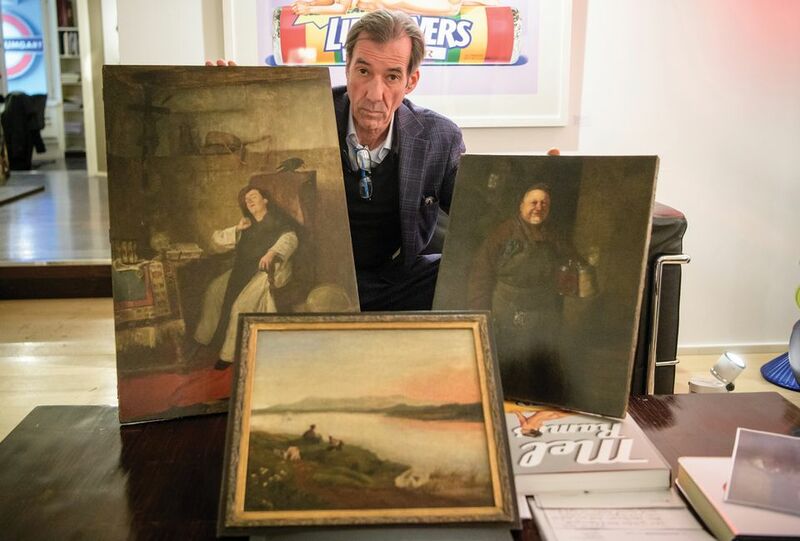 He had entrusted the paintings to a restorer, who cannot be named for legal reasons but has been in business for 40 years and works in Bavaria. Baumgartl had claimed that the restorer removed not just the varnish, but also a layer of paint. “They were completely ruined,” he says. In August, the Munich Upper Regional Court found that the value of the Spitzweg painting had significantly decreased after the faulty restoration. The piece had been valued at €14,000 in 2009, but sold for just €5,500 at Van Ham auction house in Cologne in 2011. “A Spitzweg connoisseur would no longer buy a work like this because he would know [the artist’s] brush strokes, and these have now been changed,” the court said. The restorer denied the accusations, arguing that the paintings were already in a poor condition when they were brought to him. As well as the Spitzweg, Baumgartl asked him to clean pieces by Alfons Springs, Eduard von Grützner and Ernst Kaiser. The picture by Kaiser was described by a specialist in a court hearing as a “total write-off” after the treatment. In its August ruling, the court said that comparisons with high-resolution digital photographs showed that the cleaning had removed detail from the paintings. It ruled that the restorer had not observed his trade’s code of conduct and was primarily focused on “taking as little time and effort as possible”. If he had tested smaller quantities of the solvent on a tiny area of the paintings, “it would not have led to this widespread bleaching and dissolution of paint”, the judges said.